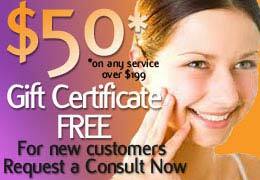 At New Radiance Cosmetic Center, we receive countless questions about our procedures. In this series of posts, we will attempt to answer the most common and important liposuction questions. A french surgeon, Dr. Charles Dujarier, performed the first modern liposuction on the leg of a female model in 19261. Obviously, techniques and equipment have improved dramatically since then. Nowadays, liposuction removes fat safely and effectively from many areas of the body. Several areas can be targeted in the same session. While most patients choose to remove fat from a few popular areas listed below, surgeons can remove excess fat from anywhere, including the ankles (or cankles) and knees. Liposuction removes fat cells from the subcutaneous fat layer, below the dermis and above the muscle. Liposuction does not remove internal fat (i.e., visceral fat) around your organs (e.g., stomach and intestines). The lack of major blood vessels in the subcutaneous layer, along with the smaller cannula which is used (3 or 4mm), helps keep blood loss minimal. Additionally, the tumescent fluid used to numb the area constricts the capillaries, further minimizing bleeding. It should be noted that general anesthesia is never used, only tumescent fluid in the local site of the procedure. How Much Fat Should I Remove? The amount of fat taken depends greatly on the type of body that you have and on how much fat there is. For people with a medium build, about 4000 to 6000 ccs (1 to 1.5 gallons) of fat is typically removed during the procedure. For people with a smaller frame, one can expect around half of this amount to be removed during the course of one procedure. A liposuction procedure can only deal with small volumes of fat at a particular time. This comes into play during what is known as Large Volume Liposuction, where the procedure is broken up into two procedures separated by one to two months. Good candidates for such a procedure are about 50 to 75 pounds over chart weight.